Welcome to the gaming peripherals article for Feb 2016. These peripherals are chosen by keeping new pc builders and current pc gamers in mind. For those building a new pc or looking to upgrade their current peripherals such as a mouse, keyboard or monitor to go along with your gaming rigs, there are several choices for you below. 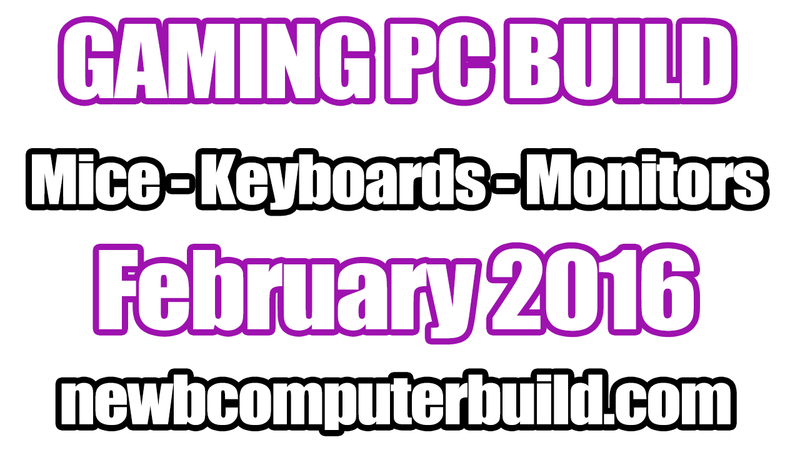 This article is created as an add on every month to the current builds article, so if you are looking to build a new gaming pc check out the February 2016 Gaming PC Builds of the Month. The peripherals listed are arranged into categories that best reflect three separate general categories and are geared towards pc gamers. Since peripherals aren’t typical performance based hardware, they are categorized with both price and functionality in mind into either High End, Mid-Range or Basic categories. Generally, the categories are ranked by the type of hardware you have (such as a higher end monitor would most likely correspond to a high end gaming rig with a higher performing graphics card). But, some exceptions may be gaming mice or keyboards, where a lot of its actual performance is a result of a gamers preference, playing style or types of games they play. The “higher end” peripherals are meant to showcase some of the more popular higher end / gaming specific peripheral hardware that one might consider to have the top of the line gaming peripherals or more of the “best” overall type of peripheral hardware – keeping in mind, these are not the most expensive gaming hardware peripherals one can buy, but a collection of the higher quality / more popular hardware for gamers in a few different categories. If you play specific types of games (MMO’S vs high FPS) then you might want to look into specific gaming hardware geared for those game types, either way the list below should still be relevant. For several months, the included higher end keyboard is the Corsair Vengeance Gaming K70 Mechcanical Keyboard. This keyboard is designed for performance gaming for those fast response times with 100% Cherry MX red mechanical key switches, a black anodized brushed aluminum chassis, deep red leds, 100% anti-ghosting and more (learn / read more at corsair.com). I have grown very fond of the Cherry MX Red mechanical switches as they provide a smooth ‘clickyness’ that both satisfies and isn’t too overbearing. 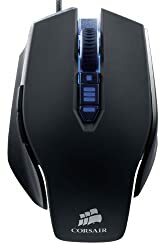 The mouse included as the “best overall” is the Logitech G502 Proteus Core, making this a very good choice for a varying range of gamers – a very comfortable all around gaming mouse with 11 large programmable buttons and easily one of the best mice out there, and is a great mouse for playing any time of PC game. [learn more at gaming.logitech.com]. This is the mouse I’m currently using myself, and I must say I love it. There are a couple of monitors included below. 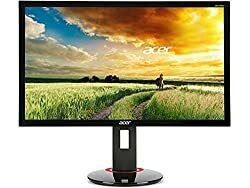 The first monitor is the Acer XB270HU bprz, which is for those who want to game at 2K resolutions while gaming (2560X1440) with 144Hz at 27 inches and also with G-Sync. If you want to read the full details on this particular monitor please visit acer.com. The second monitor is the Acer XB280HK bprz, a 4K monitor with G-Sync and at 28 inches. This monitor is for those that want to crank that resolution up to a full Ultra HD 4K – keeping in mind though that in order to max games out with a smooth 60fps, may be difficult to achieve unless you go SLI or Crossfire with your graphics cards (although a GTX 980Ti is definitely capable of 4K gaming, generally with some settings scaled back). Learn more about this Acer monitor as acer.com. The mid-range category is perfect for those that want to still have great gaming peripherals, but not necessarily the most expensive. The Mid Range peripherals are most likely geared more towards gamers that want a little more then the basic gaming necessities in order to have that slight edge while gaming in the specific games they may be interested in. We have the Corsair Strafe Cherry MX Mechanical Keyboard. 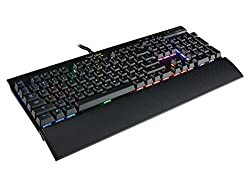 This is a great looking mechanical keyboard with cherry mx key switches (a very satisfying keyboard to game with and my preference), dynamic backlighting, endless programming with the ability to reassign any key or set up for extreme macros and more. Learn and read more at corsair.com. This month I have included two mice in the mid range collection below (noting that they are around the cost if not more then the Proteus included in the higher end peripherals category above; this is because I’ve chosen the proteus as the best ‘overall’ and the following two mice as gamingh specific mice). The first mouse is the Corsair Vengeance M65 mouse would be ideal for FPS gamers, since it is built for precision and comfort. 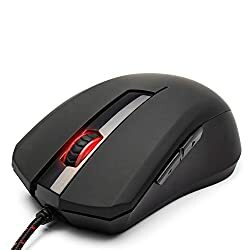 It has eight programmable buttons and one specifically for sniper mode – which simply slows down the dpi of the mouse in order to aim more precisely. Even though this mouse matches the cost of the high-end one above, it’s still a a great choice for a different type of gamer and you can also adjust the weight and dpi on the fly. To learn more about the Corsair Vengeance M65 please visit Cosair.com. 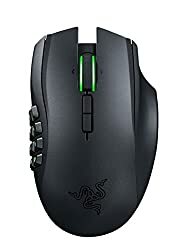 The second mouse included is the Razer Naga Epic Chroma gaming mouse. This Razer Naga has a total of 19 MMO optimized programmable buttons for unlimited combos, chroma lighting that has 16.8 million customize able color options. Check out the full details at razerzone.com. The mid range monitor for another month is the LG Electronics 24GM77 24 inch monitor. 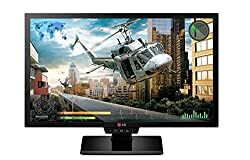 This monitor is really a fantastic gaming monitor for those gaming at 1920×1080 with super fast response times and 144hz refresh rates; highly recommended. This monitor is 24 inches, has some of the best motion blur reduction and has Dynamic Action Sync, which reduces input lag by up to half. 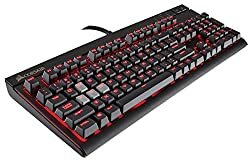 The “basic” peripherals are meant to showcase some of the more popular peripherals that are generally more affordable, but still considered gaming specific hardware. Just because these are labelled “basic” doesn’t mean they aren’t quality peripherals for gaming, but realistically it’s all you really need to get into any gaming without all the bells and whistles. For the keyboard this month I have switched my selection to the Coolermaster CM Storm QuickFire Rapid – personally I really like this keyboard, which features mechanical Cherry MX switches (your choice of Brown, Blue or Red MX Switches), windows key disabling in game, laser marked keycaps, anti ghosting and best of all, this keyboard is tenkeyless; which makes is a great basic gaming pc keyboard in my opinion as this gets rid of necessary keys such as the number pad minimizing the overall keyboard size (so unless you really need those extra keys, this could be a very viable gaming keyboard option). Learn more about this keyboard at coolermaster.com. The Turtle Beach Grip 300 Gaming mouse you see below, is essentially a gaming mouse that probably has all most gamers will fully utlize, such as a comfortable design, two big thumb buttons and three DPI settings. To learn more search for the Turtle Beach gaming mouse over at turtlebeach.com. *A second mouse recommendation is also featured below this month as a “Reader Submitted Recommendation”. Alex commented out the site last month saying that the Redragon M701 Lavawolf gaming mouse is “amazing for the price” and “you get way more than you pay for”. And with the mouse being only $16.99 at the time of writing this and reading the other customer reviews, I can see that he’s not alone. 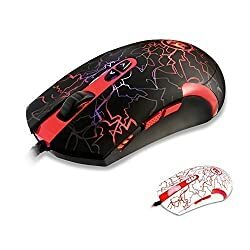 This mouse may be a worth while consideration for someone looking for a budget gaming mouse. The BenQ RL2455HM monitor included may be all most gamers may need, a 1080p monitor with 60hz refresh rate and 24 inches – all for a great price for a gaming specific montior. This monitor also has presets for specific RTS games like StarCraft II or DOTA 2. To read the full features list please visit gaming.benq.com. BenQ RL2455HM 24-Inch LED Console Gaming Monitor (24 inch 75Hz / 1MS Response Time/ 1080p) – Also available in 27 inches. 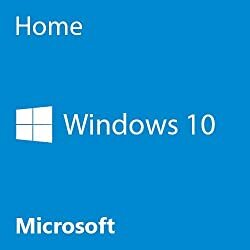 If you don’t already have an operating system for your new gaming pc build, then you’re going to have to either invest in purchasing a standard OS such as Windows 7, Windows 8.1, Windows 10. Otherwise, there are some free alternatives that you could consider below as well. 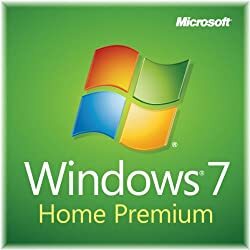 Keep in mind that you will need an optical drive should you decide to purchase the install DVDs, however you can also purchase Windows online or as a USB stick and install it that way – this would be the process for installing your OS without an optical drive. The following are some operating systems you can consider installing upon putting your Gaming PC build together. 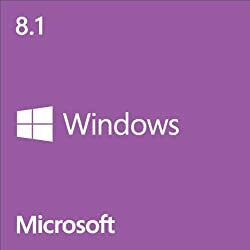 The first three will cost you and are either Windows 7 or 8.1, or 10 – I have no opinions here so I’ll leave the purchase of these up to the discretion of yourself, but do keep in mind that either way you do have the option of upgrading to Windows 10 for now. I have also included two other operating systems that are both currently free. Ubuntu is a Linux based operating system. 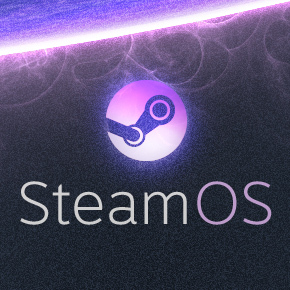 The last OS is SteamOS, which is also a Linux OS being developed by Valve Corporation and is being made to be used for a Steam Machine game console. Is BenQ 27 (XL2730Z) is a good substitute for the (Acer XB270HU bprz) ? One more thing i might use your 1500$ recipe for gaming pc. 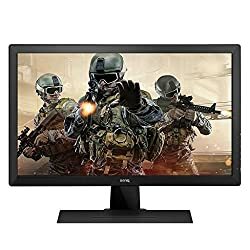 should I use 1080p monitor or 2k reso monitor? would be a waste if I use 1080p with a powerful graphics card? I might use the 980ti Xtreme. Now, you can get the BenQ monitor and it still is a great monitor, you just won’t be able to take advantage of Freesync unless using an AMD card. And I would say if you went with the $1500 build, a 2K monitors is totally worth it and 1080 is almost a waste (the 980ti is a super card!). If you don’t think you’ll want to do 2K gaming and want to save some cash, then I would suggest the $1000 build and a 1080 monitor. Alternatively, if you want to also save a few bucks instead of a GTX 980ti you could go with a AMD Radeon R9 390X and the Benq XL2730Z and you should still get great performance at 2K. Hey, Corey! Again, I’m so glad you took my suggestion of the Lavawolf mouse into consideration! This time, my friend, Arun, bought an amazing keyboard, who is very satisfied with it. I’d buy myself if I didn’t already have the G710+. It’s only about $40, but it has so many features you’d want on a keyboard. For that price point, it has three different LED colors, half-mechanical, and looks stylish AF. It’s one of the select 5-star products I’ve seen on Amazon, and it certainly lives up to its name. I just hope we can give more opportunities to people with lower budgets to still have great gaming gear. Hi Alex welcome back – awesome stuff. I’ll read into it a bit more and see about adding it in. Might be worth adding a fourth section for user submissions, as it may provide a benefit to those looking for either cheaper or other suggestions. The keyboard does look good though and has solid reviews (you’re right now many are rated 5/5). I’m trying to figure out what they mean by half-mechanical, its not immediately clear through its description? Either way looks to be a great budget board. I did manage to find someone who answered the question of what a “half-mechanical” keyboard is. It is similar to what I though it was. Thank you Alex, that would have been my best guess too. And if it serves as being similar in feel and function then I’d assume it would be a viable alternative. Awesome stuff!